Right out of the gate on Tuesday, House Financial Services Chairwoman Maxine Waters used her first question to ask Treasury Secretary Steven Mnuchin whether he would comply with a Democratic request for copies of six years of the president’s personal and business tax returns by Wednesday's deadline. Given the rate of turnover of senior officials forced from their jobs in the Trump administration, Waters then asked Mnuchin whether he’s afraid he’ll be fired if he complies with the request. “I’m not afraid of being fired at all,” Mnuchin answered. A senior Democratic aide at the Ways and Means Committee told ABC News that since chairman Richard Neal’s request didn’t include an explicit hour deadline, the deadline is “technically” at “midnight." The aide added that if the IRS does not comply with the chairman’s request, the next step would be to send a second letter – though that won’t be sent immediately either. There will not be a subpoena issued immediately to the IRS when the deadline passes. the aide said. .
“We will not be moving to subpoena the IRS tomorrow,” the aide says. “The next step would be a second letter.” The aide says the timing of that letter “is a little up in the air” because leadership has asked the committee not to drop the letter in the middle of the Democratic Issues Conference in Leesburg, Virginia, which ends Friday morning. The hearing ended before all lawmakers had an opportunity to question Mnuchin, as the secretary was eager to rush to the Treasury Department to meet with a foreign leader at 5:30 p.m. After she refused to dismiss him, Mnuchin squabbled with Waters about whether he would return voluntarily to testify again at the committee in May. Treasury Secretary Mnuchin after being asked to stay at hearing by Rep. Maxine Waters: "I've just been advised that I'm under no obligation to stay ... I've withdrawn my offer to voluntarily come back." Earlier Tuesday, Mnuchin testified that a White House lawyer communicated with Treasury Department lawyers before they received a request from House Democrats for President Donald Trump's tax returns. Mnuchin appeared before a House Appropriations subcommittee on the Treasury budget request when he was asked by the Democratic chairman, Rep. Mike Quigley, whether he had spoken with White House officials about the request. "I have not spoken to the White House chief of staff or the president about this decision," Mnuchin said, but later added that there had been communications between the two legal teams, which he described as "purely informational." Mnuchin later defended the president's decision to not release his tax returns, saying that Trump has complied with financial disclosures and that the decision to release tax returns is an "individual decision." "There is a requirement for presidents to have financial disclosure. 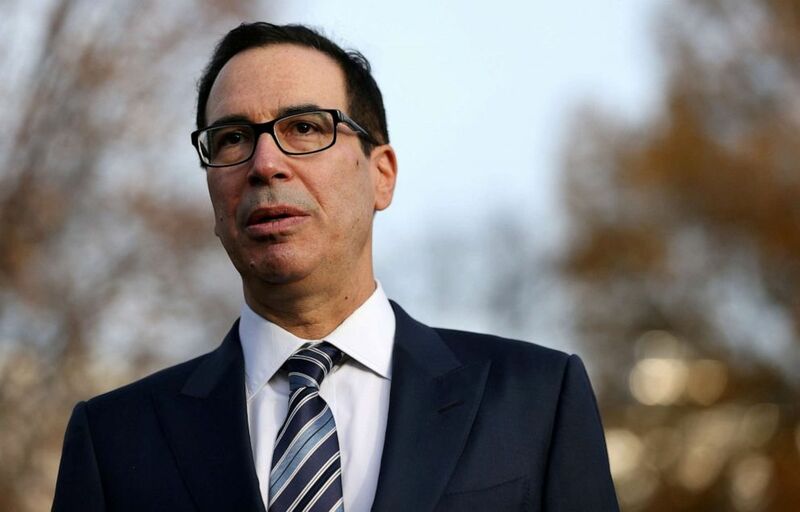 I believe this president has complied with that, as other people, and the general public when they elected President Trump made the decision to elect him without his tax returns being released, Mnuchin said. "I am sure there are many prominent Democrats who are relieved that when Kevin Brady was chairman of the (House Ways and Means) committee that he didn't request specific returns. But anyway, it is a pleasure to be here with you today," Mnuchin said. Democrats gave the IRS commissioner until Wednesday to respond to Ways and Means Chairman Richard Neal's request, which Mnuchin said Treasury's legal department was still reviewing. "It is our intent to follow the law," he said. Acting White House chief of staff Mick Mulvaney has said Democrats will "never" get their hands on copies of Trump's tax returns. IRS commissioner Charles Rettig is being asked to provide Neal with six years of the president's personal and business filings. 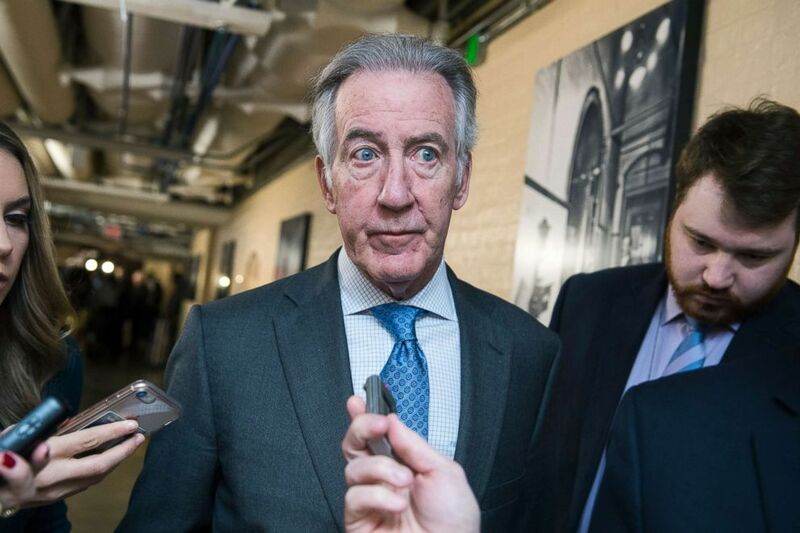 When making the request, Neal pointed to a law from the 1920s that empowers three members of Congress to review the documents of any U.S. taxpayer. "But," the aide added, "we'll see." On Sunday, Mulvaney predicted Democrats will "never" obtain the documents, days after Trump said he was not inclined to cooperate and stressed that voters "litigated" the issue by electing Trump in 2016. "Voters knew the president could have given his tax returns, they knew that he didn't and they elected him anyway, which is, of course, what drives the Democrats crazy," Mulvaney said on Fox News on Sunday. "But they know they're not going to get this." An obscure 1924 provision in the tax code allows the chairmen of certain Congressional committees to privately examine anyone's tax returns to conduct an investigation. If obtained, the returns could be released to the full House of Representatives with a majority vote from that committee, effectively making them public. This scarcely used measure dates back to the 1920s Teapot Dome bribery scandal during President Warren G. Harding's administration. It was invoked in the 1970s to investigate tax fraud by President Richard Nixon and again in 2014 to investigate whether the IRS discriminated against certain conservative groups. 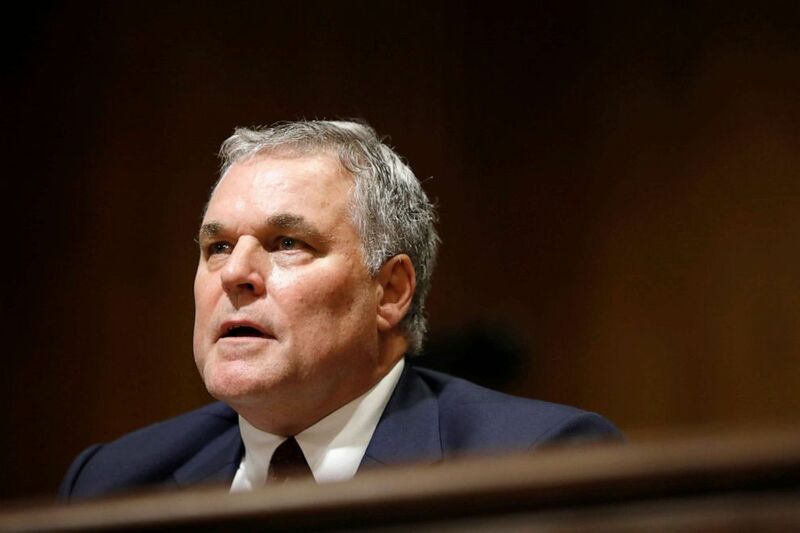 (Aaron P. Bernstein/Getty Images, FILE) Charles Rettig, President Donald Trump's nominee to be Commissioner of the Internal Revenue Service, testifies during his confirmation hearing before the Senate Finance Committee on Capitol Hill, June 28, 2018, in Washington, DC. A legal challenge is widely expected, and Neal could invoke his committee's subpoena power to press the issue if Rettig misses Wednesday's deadline. Rettig testified Tuesday afternoon at the House Appropriations Subcommittee on Financial Services and General Government on the IRS budget and 2019 filing season. On Wednesday, Rettig is set to return to the Capitol to testify at the Senate Finance Committee's hearing on the 2019 tax filing season and the 21st century IRS.